The .380 is an often denied round thanks to the advent of slim and trim 9mm pistols. Despite being pushed to the side, .380s still have their place in the gun world and in gun owner’s holsters. A solid contender for back-up gun or useful in situations in which a micro-compact is a necessity, the .380 pistol proves it’s not dead by a long shot. 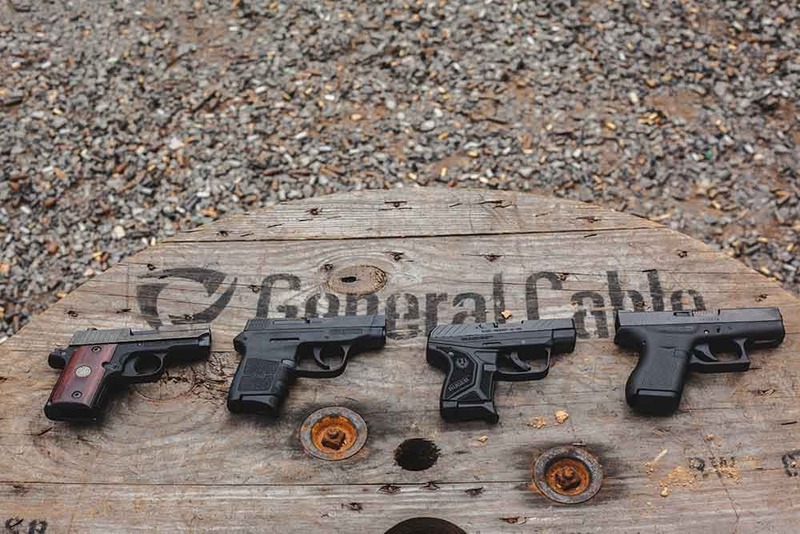 Guns.com pulled a few .380 pistols from our own inventory for a quick look at what makes these guns viable concealed carry options. The Ruger LCP II first popped onto the gun scene in 2016, offering a much-needed update to the original LCP design. The LCP II builds on its predecessor’s platform but revamps the texturing on the grip. The hammer-fired pistol packs a 6+1 capacity into its slim frame, boasting a total weight of 10.6-ounces. 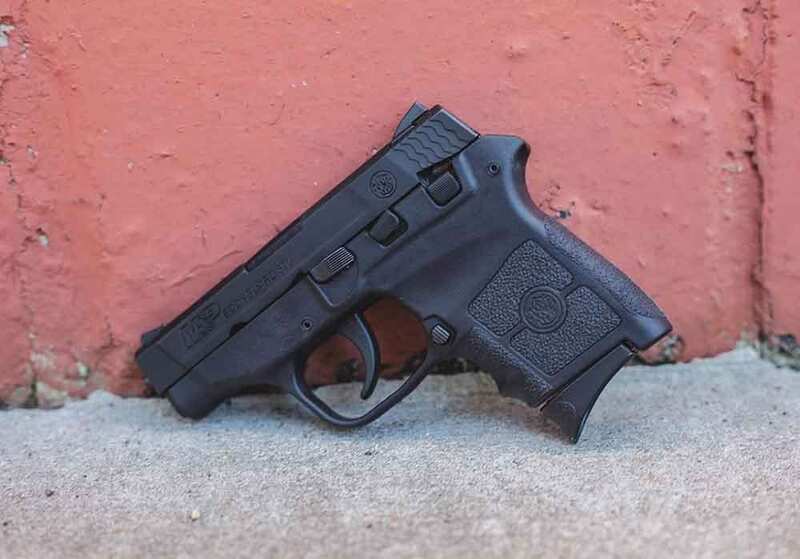 Though the Ruger LCP II features a compact build perfectly designed for deep concealment or as a back-up gun, its small frame comes with disadvantages. The LCP II is a snappy gun when fired. Without the added weight and paired with a small frame, the .380 rounds leap out of the gun, causing a bit more recoil that one might expect. It’s not a deal breaker by any means but something carriers should understand in order to better control follow up shots. In addition, it’s all black fixed sights make for a tough time seeing targets, especially if you’re firing at darker circles or silhouettes. Despite its flaws, the Ruger LCP II hits the benchmark of concealment, providing an ultra-compact model for concealed carriers. The Ruger is priced around $270. The Sig P238 continues the .380 trend but with a slightly heftier build. Weighing in at over 15-ounces, the P238 tops our list as the heaviest micro-compact of the bunch. Featuring a hard coat anodized stainless steel frame paired with rosewood grips, the Sig brings that 1911 style to the tiny pistol realm. By far the sweetest shooter out of the bunch, the Sig P238 touts a smooth trigger with crisp uptake. Take this baby to the range and plink all day! The heavier build mitigates recoil exceptionally, however, the bigger frame does mean more to conceal. Not an issue, however, as the Sig P238 still keeps to the micro-compact theory and slips into a holster with ease. 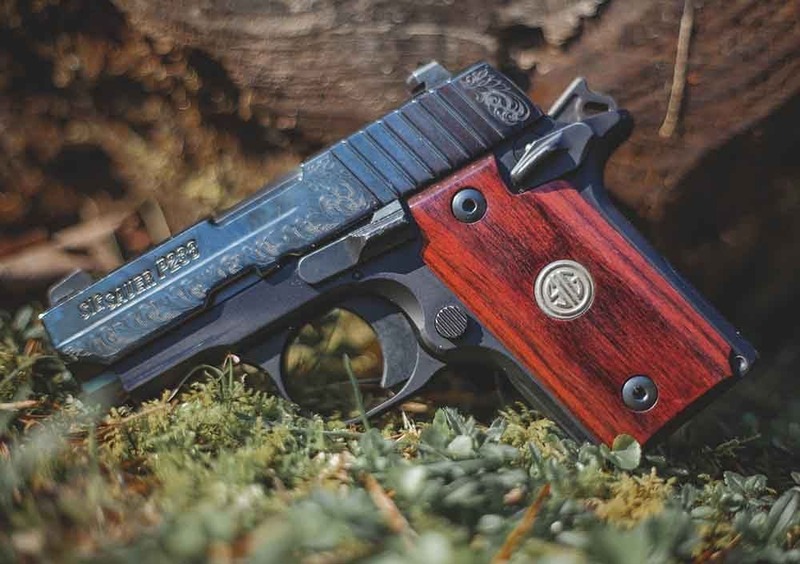 For a gun that turns heads with its looks and performance, gun owners should head straight for the Sig P238. The Sig P238 offers a price tag around $600. What would a .380 list be without the people’s favorite polymer pistol? Of course, that’s the Glock. The Glock 42 brings .380 in a single stack form to those that prefer that blocky pistol build. 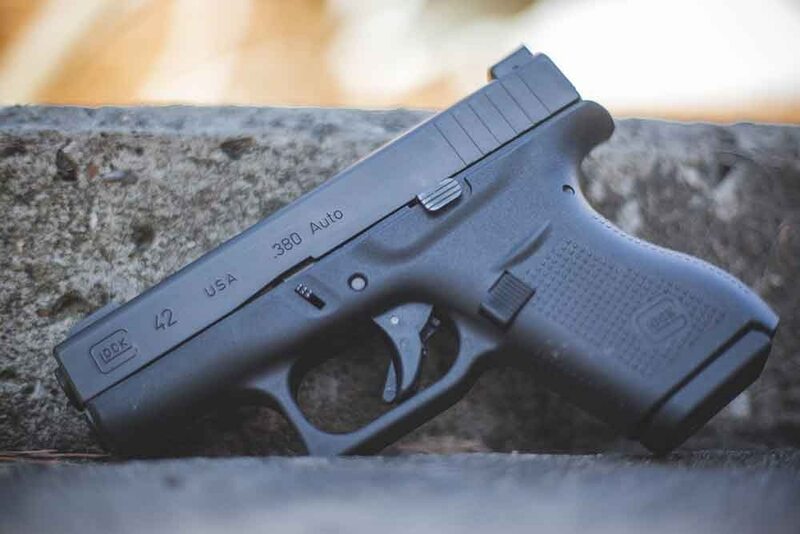 The G42 delivers a 6-round capacity on a 12-ounce frame, placing it mid-range in terms of weight. This middle area gives the Glock just enough heft to mitigate recoil without going overboard. The G42 utilizes Glock’s familiar sights, which some might prefer to trade out for a brighter view. The Glock ditches the fancy aesthetics in favor of simplicity and reliability. For those that already own a larger frame Glock like the 17 or 19, the 42 feels like a natural transition to a smaller gun. Perfect for shooters who want to keep it all in the Glock family, the G42 acts as a solid option for .380 shooters who want a no muss, no fuss gun that just works. The Glock 42 retails around $400. Finishing out our list is the Smith and Wesson Bodyguard. The Bodyguard sets itself apart from the other designs with its double-action only trigger. The trigger acts as a sort of safety within itself as it is extremely long and extremely heavy. This isn’t a gun you’re going to take and plink with all day. This gun has a purpose on the range and once you’ve trained, you’re more than ready to retire back into a holster or gun case. With a 6+1 capacity, the Bodyguard felt the smallest out of the models I tested; but features a weight in that mid-range, 12-ounces. Though its size is on par with the other models, it feels less ergonomic and its textured grip leaves a lot to be desired. The sights, like the Ruger’s, are all black which, again, proves difficult to sight targets. The Bodyguard does come equipped with a thumb safety for those that want that seek protection while carrying. The Bodyguard proves a decent gun for carriers looking to emulate the long trigger pull of a revolver and those with added safety in mind. The Bodyguard is priced around $300. The .380 platform proves a solid option for shooters not quite ready to step up to the 9mm round or those in need of something a tad smaller for concealment. This selection from the Guns.com warehouse offers a range of guns with attributes to fit any gun owners’ needs.